The Quiklok SL/911ALU BK Slim Dual-Tier Aluminium Keyboard Stand features solid, lightweight, all-aluminium construction to provide an ultra-portable solution with exceptional structural support. With a sleek Metallic Black finish, the SL/911ALU BK utilises an ergonomic height-adjustable dual-tier design, suitable for most keyboard and controller sizes (up to 61 keys) as well as drum machines, small mixers, and sound modules. 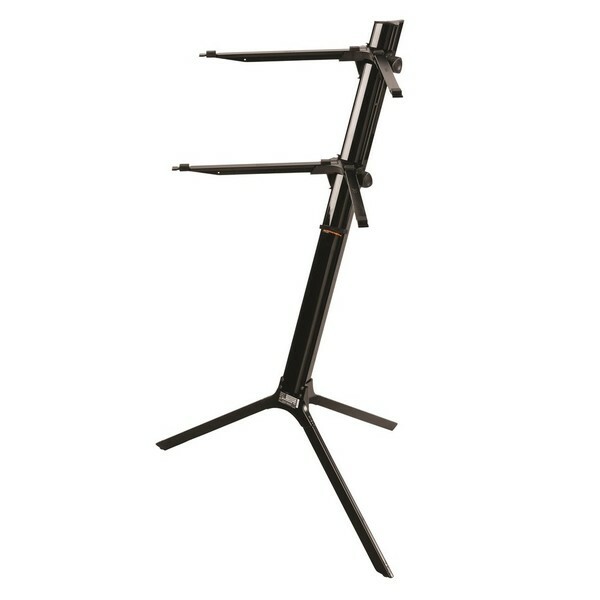 The raised base of the stand provides ample space for pedals below the stand, and can be adjusted for comfortable use in both seated or standing positions. 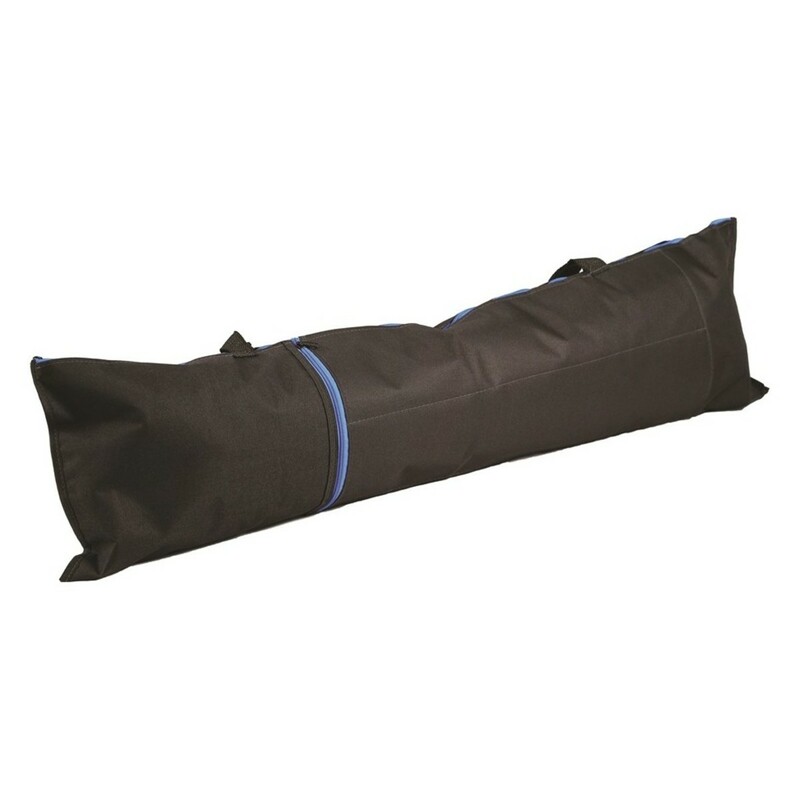 The SL/911ALU BK includes a nylon carry bag for hassle-free storage and transportation. 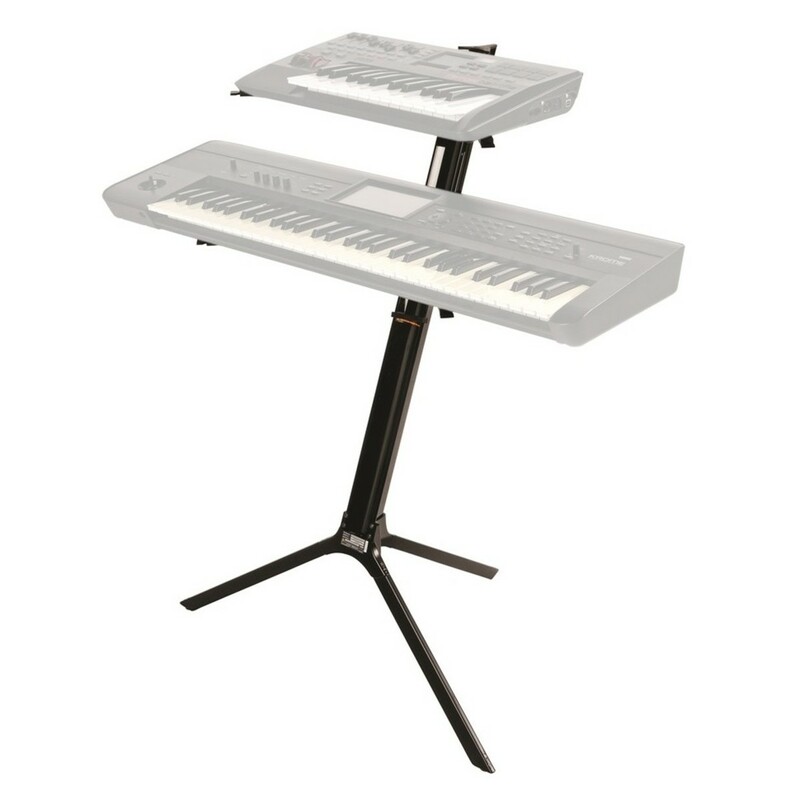 Please Note: This is the Slim version of the Quiklok Dual-Tier Aluminium Keyboard Stand, designed to accomodate keyboards/controller sizes up to 61 keys. The Quiklok SL/911ALU BK is crafted from premium-grade die-cast aluminium, ensuring superior sturdiness and support for your equipment, whilst being exceptionally lightweight for easy portability. 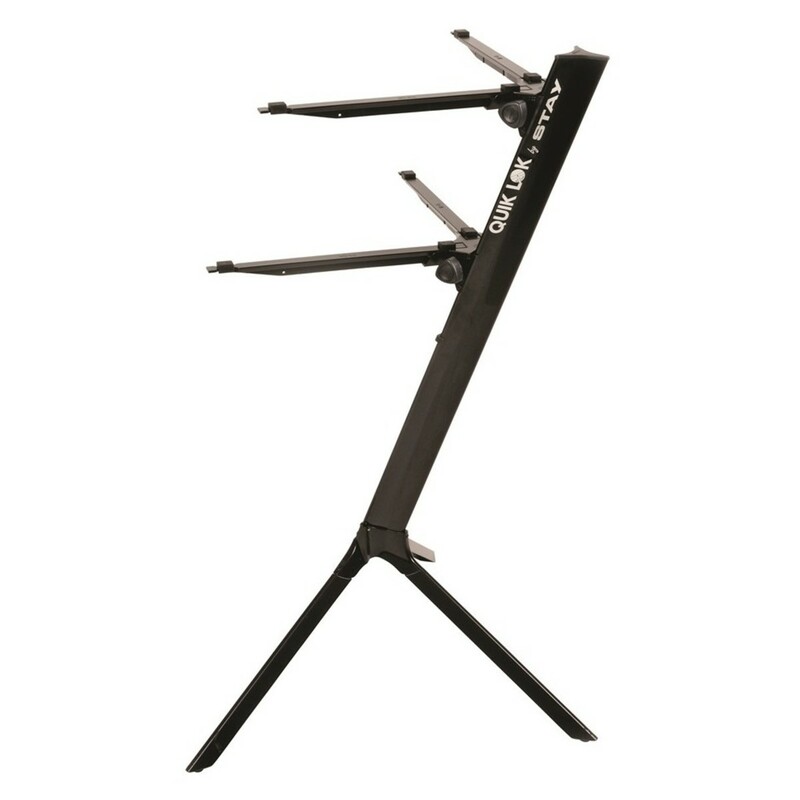 The stand boasts excellent structural support, with an ingenious patented design that enables you to setup for any gig in mere seconds. 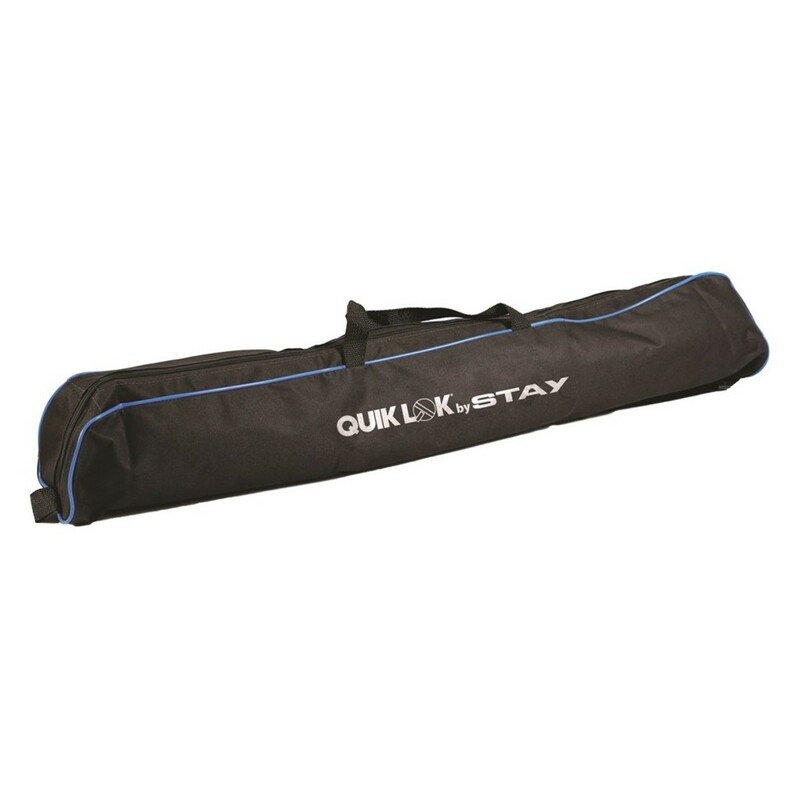 The stand can be taken down just as quickly, providing you with an ultra-compact and easy-to-transport unit that fits neatly into the included nylon carry bag. The SL/911ALU BK is simple and incredibly effective, and comes in a striking Metallic Black finish. The SL/911ALU BK features a dual-tier design that can be set-up quickly with ease. The tiers can be set to your desired height, providing you with an ergonomic and comfortable position for playing both standing or seated. The stand is built to accommodate most sizes of keyboards and controlls, as well as drum machines, small mixers, and sound modules. The stylish design features a raised base, giving you ample space for pedals, and is ideal for studio or live performance applications. It can even be used for display purposes.